Can't play your DVD movies on your brand new Windows 8 system? That's because Microsoft decided to omit Windows Media Center from Windows 8 this time, instead making it available as an extra download—and it's not free anymore. At least, it won't be next year. What does that mean? Well, Microsoft is giving away Windows Media Center free for a limited time to Windows 8 Pro users—until January 31st, 2013, to be exact. 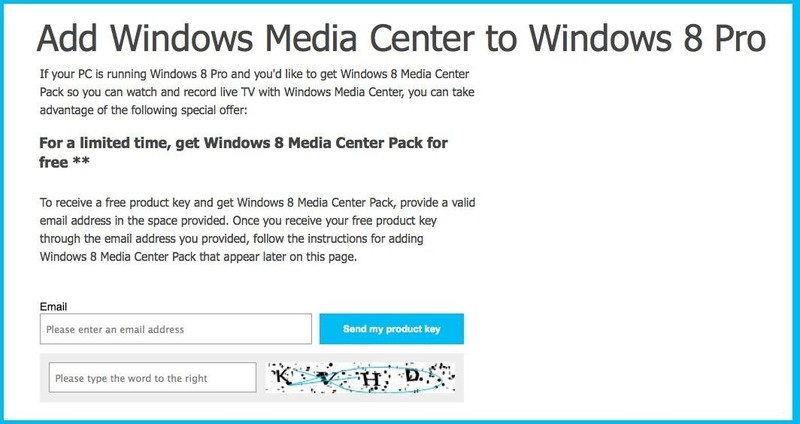 To receive your free Windows 8 Media Center Pack, just visit Microsoft's website, enter your email address and Captcha in the appropriate fields, and a product key will be emailed to you shortly. Swipe in from the right edge of the screen and hit Search. Using a mouse? Point at the upper-right corner of the screen and click Search. Enter add features in the search box. Tap or click on Settings. Tap or click on Add features to Windows 8. Tap or click on I already have a product key. Enter it and hit Next. Accept the license terms and hit Add features. If you're thinking about waiting until it's not free for some reason, Windows Media Center will cost $9.99 after January 31st of next year. That price is only for users with Windows 8 Pro. If you have the basic Windows 8, you must upgrade to Windows 8 Pro before you can even use Windows Media Center. Microsoft is offering up a special upgrade fee for those looking to jump to the Pro Edition—$39.99 to download and $69.99 for the shipped version. Note: Windows Media Center isn't available for Windows RT. MediaPortal is an open-source media center application that pegs itself as the number one alternative to Windows Media Center. It has much of the same features as Media Center, like recording live television, streaming movies and photos, as well as playing and organizing your music files. 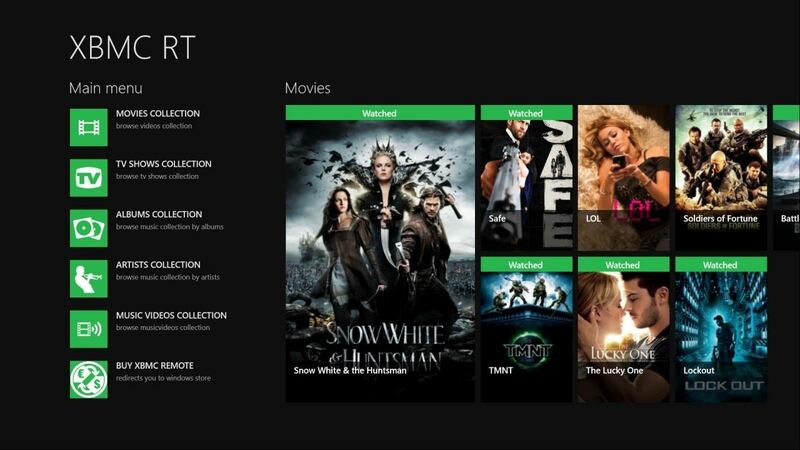 Originally created as an Xbox application, XBMC has moved onto most of the popular computer operating systems. You can download XBMC here. The XBMC application is another open-source media center known for its cool customizable features and player skins. Got another Windows Media Center alternative that'll work for Windows 8? Let us know. News: Create Cool video tutorials - Free screen capture in Windows - part 1. News: Create Cool Video Tutorials - Free Screen Capture in Windows - Part 2. Great! Just upgraded to Windows 8 and wanted to get Media Center. One correction: XBMC was originally made for the Xbox, not the Xbox 360.